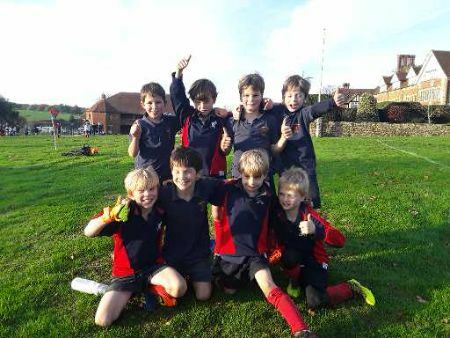 On Thursday 8th November Brookham U8 Red Team played away at Aldro. Our first opponents were Aldro. We worked extremely hard to put in to practice the drills that Mr Wells has taught us. We focused hard and passed accurately to create some great opportunities to score. Aldro were strong and tried to attack, but Angus and Cristo in defence were hard to get past and Rudy’s safe hands in goal meant that they were unable to score more than once. Theo, Harry, Tom, Dougie and Wilfie were a strong group in mid-field and worked hard together to enable Theo and Wilfie to score great goals. The final score was 3-1 to us. Thank you to all the players for working so well as a team, always trying their best and not giving up. And a big thank you to all our sports teachers, especially our coach Mr Wells, for helping us to become a better team.